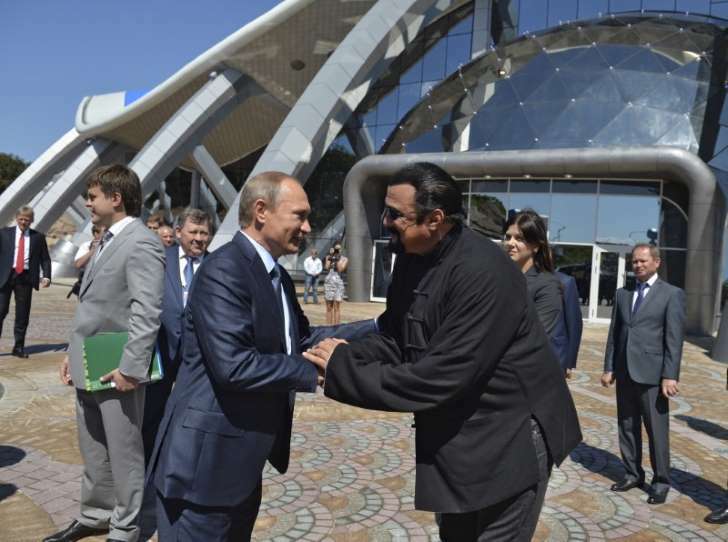 Putin gives Russian citizenship to action film actor Seagal. MOSCOW — Russian President Vladimir Putin has awarded Russian citizenship to action film actor Steven Seagal. The 64-year-old Seagal has been a regular visitor to Russia in recent years and has accompanied Putin to several martial arts events, as well as vocally defending the Russian leader’s policies. Other foreign celebrities to be awarded Russian nationality by the Kremlin in recent years are French actor Gerard Depardieu and U.S. boxer Roy Jones Jr.